Debra Lynch is a Family Nurse Practitioner, board certified by the American Academy of Nurse Practitioners. She pursued her Master of Science in Nursing at Georgetown University and graduated in 2016. Most of her focus and training was in pediatrics. Debra’s emphasis is on holistic care that is patient and family focused. 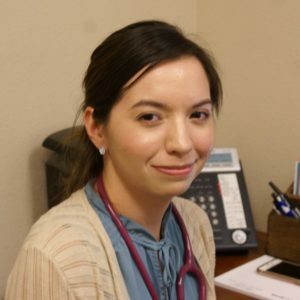 Prior to becoming a Nurse Practitioner, Debra completed her Bachelor of Science in Nursing at the University of Mary Hardin-Baylor in 2012. She has four years of pediatric nursing experience and previously worked at BSWH McLane Children’s Hospital emergency department. Debra loves working with children, teens, and young adults. She is enjoying being a part of the team at Killeen Pediatric Care Clinic and Heights Pediatrics. She is married and has two cats, Sasha and Thomas. Her hobbies include reading, running, yoga, and traveling with her husband.